Continuing in my daily updates, the next one in the queue is this post. However, I am currently writing a chronology titled "Marvels of the TVCU" for the upcoming TELEVISION CROSSOVER UNIVERSE: WORLDS AND MYTHOLOGY VOLUME I. That chronology will incorporate this post and expand upon it. So for that reason, this post will not be updated again until that book is released by Super Entertainment, tentatively due out at the end of this year. Note that if the Hulk series is in, that means the Thor and Daredevil of the TV Movies are in, rather than the comic versions. I am going to include Thor and Daredevil in my timeline since from a TVCU viewpoint, those two are spin-offs of the Hulk. Otherwise I'd never have any other opportunity to discuss their timeline, since those TV Movies are their only on-screen TVCU appearances. I've also decided to include the Avengers in this blog. The Avengers is one of the greatest crossover movies, and it would be a shame to exclude it. Since it came out, I've applied many varying theories for placement of the Avengers, which I've hinted at in various blogs. 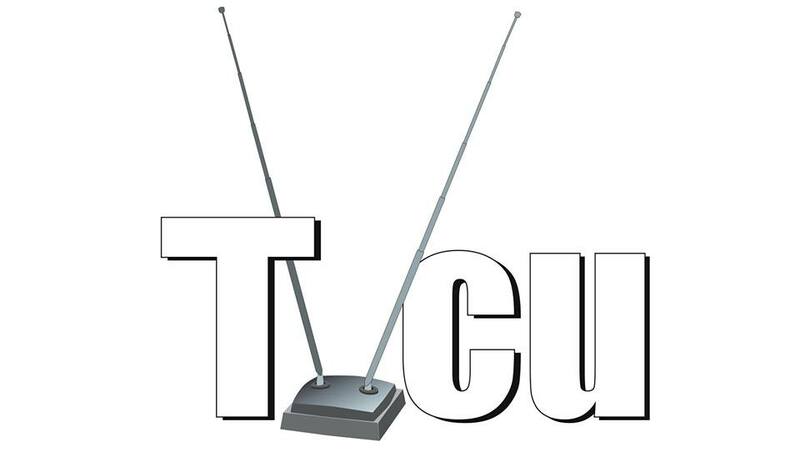 Finally, I've decided to place it in the TVCU2, which is for all intents and purposes the same universe as the TVCU, but where the timeline diverged at some point. Once I've posted this updated blog, there's a strong chance I'll change my mind and amend this in a future update. After all, look at how many variations of my Superman blog there have been. I've also removed Dennis Power's elements, simply because it goes against my "It happened as we view it" approach. However, I am still a fan of Power's work, and highly recommend it. I've also removed any element that doesn't have a comic book or film connection. This is only to be true to the intent of my blog. It doesn't necessarily negate any comic story, but I'm choosing to ignore them from my canon. This post is updated to include elements from the Horror Crossover Encyclopedia, published by 18thWall Productions. For the purposes of this post, the Television Crossover Universe and Horror Universe are synonymous. Also, this blog post needs to be updated to include the rest of the MCU after Avengers. I also need to address a possible relationship to Once Upon a Time. Those updates will wait for another day. The Story: A man finds he has a higher than normal tolerance to electricity. This gets him a gig as a side show freak, but two scientists wish to study him, and he agrees. But of course one scientist is evil and wants to rule the world, and so plans to create an army of electrically controlled zombie soldiers, with the lead as the prototype. Notes: Like most Universal horror, this film is brought in via Jeff Rovin’s novel Return of the Wolf Man. 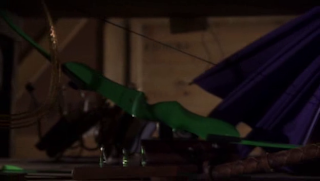 This film has been “non-cross” referenced in The Owl and the Pussycat, The Incredible Hulk, and The Angry Video Game Nerd. Notes: This cross is labeled as such above because it’s part of the Marvel Frankenstein canon. This brings in the Invaders, and it’s members Captain America, Sub-Mariner, and the first Human Torch. This doesn’t bring in all of the Marvel Universe, but it does mean that at least the golden age stories featuring those heroes, as well as post golden age stories retroactively set in that era, are in the Horror Universe. The Story: Herbert West gets hired by the Nazis, and serves them throughout the war. Notes: This is the original Herbert West, from Lovecraft’s Herbert West - Reanimator, as opposed to some of the later adaptations. In the story, West meets Baron von Strucker, who is a villain from Marvel Comics. The character first appeared in Sgt. Fury and His Howling Commandos # 5, January 1964. This was a war comic, set during World War II. This story would bring in Sgt. Fury and His Howling Commandos, and most of the comics series. It does not bring in other Marvel characters or series, nor does it even necessarily bring in the later stories set in contemporary times featuring Nick Fury, Agent of SHIELD. This story also references the events from The Boys From Brazil as having happened, bringing that also into the Horror Universe. The Story: Nick Fury must work with Dracula against a mutual enemy. Notes: This is the same Fury who will later be director of SHIELD. This is the Marvel Comics version of Dracula from Tomb of Dracula. He is likely not the real Dracula but another soul clone. The Story: The origin of Captain America is retold, modified to fit into the canon of this new animated series. Notes: The Red Skull, Zemo, and Strucker use the Necronomicon to open a portal to Asgard. And speaking of series on Disney that cross with Lovecraft, in an episode of Phineas and Ferb, Dr. Doofenshmirtz has a copy of the Necronomicon on his bookcase. I saw this episode a few years ago and cannot recall the episode. Since it’s such a minor cross, I chose not to devote hours to watching every episode again until I found it. Nevertheless, the cross is still there and valid, and it brings Phineas and Ferb into the Horror Multiverse. Because of the problem of animated characters not aging, I must assume it‘s not in the main timeline but in a divergent one or some pocket dimension. The Story: Atomic Robo must stop a Soviet mad scientist from blowing up the world. Notes: Atomic Robo has a painting of Hellboy and Captain America’s shield. The Story: One of the Frankenstein family creates a duplicate of the Silver Surfer. Notes: This cross between the Marvel Frankenstein canon and the Silver Surfer brings the Silver Surfer into the Horror Universe. Though the Silver Surfer first appeared in the pages of Fantastic Four, the origin given in this series by Jack Kirby is told differently without the FF, and so that is the origin for the Horror Universe. We should keep in mind that this doesn’t pull in the entirety of the Marvel Universe, and likely only the stories of the 1930s through the mid 1980s are valid for inclusion, because though Marvel operates in comic book time, the Horror Universe operates in real time, and eventually, these superheroes would show the effects of aging. Bringing in the Silver Surfer does not bring in Spider-Man. Or Captain America. And likewise Spider-Man would only bring in Spider-Man. Cap would only bring in Cap. Also, cartoons are not treated like comics. For one, Scooby cartoons don't really care about continuity from series to series. Comic book companies (despite our complaining) actually do try to keep track of canon, and make it clear when it's a separate canon. If they do a reboot, then that is a separate series. For instance, the different versions of Superman are considered separately. But back to the Silver Surfer, any original character that appears first in the Silver Surfer series are in, considered part of the Silver Surfer canon. Every appearance of the Silver Surfer and its spin-offs that has a horror cross in this guide is canon. Any Silver Surfer story that has no crosses, or has guest appearances of one of its spin-off characters is canon, but only for the first 25 years. Then, no. Any appearance of the Silver Surfer or spin-offs teaming with another comic character are in only if the other character has been brought in by a horror cross. Otherwise, it doesn't count. Summer 1972--3 DEV ADAM (3 MIGHTY MEN AKA CAPTAIN AMERICA AND SANTO VS. SPIDER-MAN--El Santo teams with Captain America in Istanbul against a villain using the name of Spider-Man. Note that I don't believe this to be Steve Rogers, who was in suspended animation from the 1940s until the 21st century. However, borrowing from the comics, I imagine that there were several government sponsored replacement Captain Americas over the decades. Notes: The Statues brought to life are Dracula, Frankenstein’s Monster, Count Wulfstein, the Lurker, the Purple Zombie, Mr. Hyde, Simbar, and Ra-Ka-Tep. Though these are all statues brought to life, most are characters met Spektor already, so the presumption is that the others are also in the same reality as Spektor. This parade is a real annual event, but it appears often in comics. It’s considered one of the first intercompany crossovers because multiple comic book companies use it as a setting. This was an intentional attempt by comics writers to get past legalities and present that all the comics co-exist in the same reality. Because of writer’s intent, I’m inclined to allow the crossovers, even though I really hate to make the Horror Universe into a superhero universe. The compromise is to say that the above crosses are all in, but superheroes in the Horror Universe were more or less not as public as in their main comic book universes, and their careers only lasted from the 1960s to the mid 1980s at most. It was a weird quirky phenomenon in the Horror Universe and most people today have no recollection that super-heroes ever existed. Notes: The Dark Gods are from Glut’s series of stories. Doctor Solar was another Gold Key character, whose series had ended. This was a way to give him an ending. This story brings in Dr. Solar, but not the later revival series Solar, Man of the Atom from Valient. Solar says that he works for the government now, for a man named Nick. This is meant to be Nick Fury, which is confirmed in Doctor Spektor # 23. Nick Fury’s World War II era stories were brought in previously, and this story brings in his silver age adventures. As with all Marvel heroes, we must not use Nick to bring in other Marvel characters. We might wish to apply the reasoning that Marvel uses in that Nick had taken “the Infinity Formula” to maintain his youthfulness. The Story: A mad scientist captures the Frankenstein Monster and Spider-Man in his attempt to create an army of monsters. Notes: Man-Wolf is a Spider-Man villain who like Morbius got his own spin-off series. Marvel’s Dracula appears in a flashback. 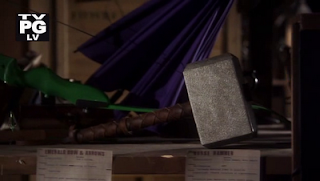 Nick Fury appears in a cameo. SHIELD is heavily involved in this story. Notes: This brings in Iron Man, but his adventures likely ended in the mid 1980s. This is the Marvel version of the Frankenstein monster. Whether he is the original from Mary Shelley’s novel or a later creation is debateable. The Story: Simbar seeks Spektor’s aid when his mate is kidnapped. Notes: This was the final Spektor story. Glut had planned a crossover story that involved Spektor teaming up with Simbar, the Owl, Dr. Solar, and the Purple Zombie. Perhaps that would have led to a Gold Key super-team like the Justice League or Avengers. The story would have been a final battle against the Dark Gods. Another story would have shown his origin, including his training under Sherlock Holmes. Also, he would have been granted immortality, which would have been useful should the series have been as long lived as some comic book series. The Story: Spider-Man, the Thing, Scarlet Witch, Dr. Strange, and Quasar team-up against the Serpent Cult. Notes: In the Horror Universe, the Marvel Comics heroes operated from the 1960s until the mid 1980s. They were less publicly known than their Marvel Universe counterparts. After all, this is a world where people regularly deny the existence of the abnormal, whether it be a town overrun with vampires or zombies, a slasher who keeps coming back from the dead to kill all the teenagers, alien invasions, or giant monsters. The Thing was a member of the Fantastic Four. The Scarlet Witch was an X-Men foe before becoming a hero. Quasar is a spin-off character first debuting in Captain America. In this story, Strange tells Spider-Man about the history of the Serpent Men, including during the times of Conan and Kull. He also refers to their existence in alternate realities, confirming that the Horror Universe is part of a larger Horror Multiverse! Notes: The future Doctor was visually based on the actor who played the Doctor in radio dramas. A later story would show the Eighth Doctor regenerate into this future Doctor, only to have been an illusion. Since this party does occur within a time vortex, we can assume each of the crossover characters came from the time period they originate from. The Story: Doctor Strange battles a duplicate of the Silver Surfer created by a Frankenstein years earlier. Notes: In the story, Doctor Strange summarized the history of Marvel’s version of Frankenstein, including all the crossovers previous mentioned in this reference book. The Story: Doctor Pretorius lures both teams of teen heroes to a secluded castle in Mexico under false pretenses of a vacation for the obvious nefarious purposes. Notes: This is the second meeting between Generation X and Gen 13. The first is not a horror cross so it’s not listed. This cross brings both teams into the Horror Universe, but they are the Horror Universe counterparts and so this doesn’t bring in the entirety of the Marvel and Wildstorm Universes. The character Mr. Lynch seems to be an aged Nick Fury. Dr. Pretorius is from Bride of Frankenstein..
Notes: Because of the appearance of the Mystery, Inc team, and not as 40-somethings, this must be the team from the newer animated films that started with Scooby-Doo on Zombie Island. This film series continues with all the previous animated series as canon. In Zombie Island, the gang are all adults, post college. Velma has a Master’s degree. The team had split up and in Zombie Island are reunited. So the “kids” here are now in the mid-20s, in a time period that is contemporary with release dates based on pop culture and technology. In the Horror Universe, the “kids” should be in their 40s. Furthermore, based on evidence from Looney Tunes: Back in Action, it’s likely the revival films are fictional in the Horror Universe, being fictional films about Mystery, Inc. However, Mystery Incorporated (in a divergent timeline) has an appearance of the Hex Girls, a fictional band that originated in revival series film Scooby-Doo and the Witch’s Ghost. Based on the crossover rules I am using, that would place the revival film series if not in the Horror Universe main timeline, at least in a divergent timeline. And indeed, it must be placed in a divergent timeline. Thus,Spider-Man: Gathering of the Sinister Six should be placed in that divergent timeline. The Story: The team deals with an open Hellmouth in Vegas. Notes: This cross bings more super-heroes into the Horror Universe, but with connections to Buffy (a Hellmouth) and Lovecraft (an appearance of the De Vermis Mysteriis), I have no choice. Crossoverist James Bojaciuk has pointed out to me that the team leader John Lynch is meant to be an aged Nick Fury. Interestingly, in the A-Team film (which is not in the Horror Universe), Lynch is a typical false identity used by CIA agents. The Story: The X-Men return from an other-dimensional adventure to find that Doctor Doom had obtained the Cosmic Cube and altered reality to make him ruler of the world. Notes: Arkham, Massachusetts, Blackstone, New Hampshire and Castle Rock, Maine are shown to be towns on the Earth of the Marvel Universe. That is further evidence that the Marvel Multiverse and Horror Multiverse are connected. Many Marvel characters also exist in the Horror Universe. However, time seems to operate differently in the two realities. In the Horror Universe, time operates like in the real world, but the Marvel Universe operates in “comic book time” where characters do age, but very slowly, and even though whatever the time of publication seems to be is the setting date as well, the characters are constantly thinking that they are not as old as they should be. For example, in 1964, the year the X-Men formed, the X-Men would think it’s 1964. But by the late 70s they would say they formed about 10 - 12 years ago, and in the 1990s, they would say it was 10 - 12 years ago, and today, they would say it was 10 - 12 years ago. August 2005--STARGATE SG-1--"Ex Deus Machina"--When explaining a meeting of high-level military suppliers & bankers, Daniel Jackson refers to one of the men as working for the "Stark" consortium. The Story: The Darkness’ alter ego is on trial, but also must face the judgement of the Ghost Rider. And that’s just the beginning. Notes: Darkness and Witchblade have had crosses with Aliens, Predators, and Vampirella, confirming their place in the Horror Universe. This story brings in Marvel’s Ghost Rider to the Horror Universe. Hulk and Doctor Strange have had numerous appearances mentioned elsewhere in this guide. This cross also brings in Cyberforce and Daredevil. The Story: Bruce Banner is rescued from the Hulkbusters by Victoria Frankenstein. Victoria is the great-granddaughter of Victor and though 73 years old, has found a way to extend her life, thus only appearing to be in her 20s. Victoria convinces Dr. Banner that she needs his scientific knowledge. She has the Monster who is dying, and she wants to save his life by stopping his deterioration. However, she reveals her true intentions when she subdues Banner and transfers some of his blood into the monster. 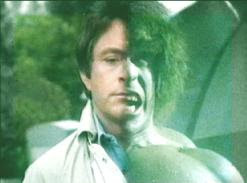 When Banner awakes, he immediately transforms into the Hulk and fights the Monster. The Monster has absorbed some of the Hulk’s strength and other properties, while the Hulk is weaker. The Hulkbusters show up and attack both monsters, causing the two to work together, and eventually becoming friends. Notes: This is the Marvel version of the Monster, called Adam. Adam may not be the original monster from the novel, but still may have been another creation of Victor. At the start of the story, Banner had been unaware that the story of Frankenstein was based on truth. Victoria responds that most writers are uninspired and base their stories on true events. This supports the Horror Universe concept. Incidentally, since the Horror Universe doesn’t use comic book time and the characters age normally, Banner himself should be in his 70s as well at this point. Clearly the Hulk’s own regenerative properties must slow down Banner’s aging. In fact, any appearances of any super-hero from the “silver age” at this point probably also likely involves slowed aging due to their meta-genes or mutations. The Story: As often happens, Banner awakes in the middle of nowhere half dressed. He’s found by Jack Russell, who offers him a meal and an opportunity. He wants to pay Banner (who needs money to get home) to simply lock him up for the night in a cage. Banner agrees, but as Russell begins to turn into a werewolf (by night), Banner is too close to the cage and is scratched. This causes him to Hulk out, and the Hulk wants to smash puny dog man who scratch Hulk. The fight leads back into the woods and near the road, where passersby pull up to see what’s happening. The werewolf tries to eat their children, but the Hulk saves the family. In the morning, Banner again awakes half dressed in the woods, but with a newspaper, a note, and some cash in front of him. The paper lays out what happened, and the note is from Jack, thanking Banner from preventing Jack from having another “bad night”. Notes: Despite being bitten and scratched, it doesn’t seem that we’ll see a werewolf Hulk. His regenerative abilities must have destroyed the Lycanthropic virus before it could have any effect. The Story: The villagers are storming Castle Dracula (with machine guns and flamethrowers) when the Hulk interrupts and assumes that the shouts of “monster” are directed at him. After the Hulk chases away the villagers, Dracula sees an opportunity. After failing to use his vampiric mind control on the Hulk, whose will power was stronger than the count expected, he instead offers the Hulk his gratitude and a place to rest for the night. The next day, Dr. Bruce Banner awakes in yet another strange place with vague memories. However, his instincts tell him to leave immediately. While attempting to sneak out, he encounters one of Dracula’s brides, who offers him a meal. His hunger beats his instincts and in the kitchen Banner meets the Count. The Count again fails to mind control Banner. As Banner tries to leave, Dracula informs the scientist that he is a prisoner. The Bride pins him and finds her hunger overwhelms her, and she starts to feed on Banner, until Dracula grabs her and throws her against the wall. Banner of course changes into the Hulk but having consumed Banner’s blood, the bride also “hulks out”. No longer under Dracula’s thrall either, the Bride tries to kill Dracula, while the Hulk stays back and watches. Dracula manages to stake the Bride, who has the Hulk’s strength but not his invulnerability. Then Dracula and the Hulk go at it. .The Hulk destroys Castle Dracula and leaves, stating “stupid castle”. Dracula learns that storming villagers aren’t so bad. Notes: Banner mentions that it feels like he’s in a Universal monster movie, and later says that the Count sounds like the vampire puppet from Sesame Street. It would seem that Banner, like most of the population of the Horror Universe, think of these monsters as only existing in fiction, just as we do in the real world. It’s interesting that both the Hulk and Banner were impervious to Dracula’s mind control. The bride too was no longer controlled once in Hulk form. This is the Marvel version of Dracula. Some would say he is the original version from the novel, and in fact, he believes to be so in this story. On the wall of the castle, there are several pictures of Dracula from different eras, and the Hulk points out that they are all the same person, who is the person he is talking to. Thus, the Dracula of this story looks like Vlad the Impaler. This seems like pretty good evidence. However, remember that when the real Dracula slumbers, he has soul clones to carry out his plans. Some of those soul clones even believe themselves to be Vlad the Impaler. And several vampire stories have depicted the shape shifting abilities of these creatures. And finally, the castle was destroyed. I’m sure it will be rebuilt, but not too quickly. I propose that this is not Vlad the Impaler’s castle but one of the alternate castles that are permanent residence for the soul clone. Plenty of stories have depicted that Draculas have castles all over the world. The Story: Earth’s greatest heroes form a team to combat the greatest menaces. Notes: This series takes place on an alternate Earth within the Marvel Multiverse, which, as demonstrated elsewhere in this reference guide, is also the Horror Multiverse. This was a short lived series that, after cancellation, was immediately followed by another Avengers cartoon on the same network that was not in the same canon. 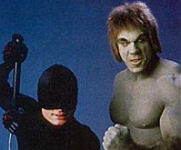 In fact, there have been so many version of the Avengers that Mad even did a sketch parodying the multiple versions. The Story: She-Hulk, Howard, NIghthawk, the Frankenstein Monster, and Man-Thing team up to fight Psycho-Man, who has reality warping powers. Notes: This is part of a larger Marvel crossover event called Fear Itself, but the larger crossover is irrelevant to this story. The Fearsome Four is a one time name used for this temporary team. The Frankenstein Monster of this story is the Marvel version of the character. The Psycho Man pulls characters from other realities to the main timeline (aka the Horror Universe for our purposes). The Frankenstein Monster may be the original Monster or at least may be another creation created by Victor. Other Marvel characters show up during the story. Others appear in flashback. The Horror Universe concept regarding Marvel super-heroes is that they mostly retired in the mid-1980s and only come out of retirement in dire emergencies. 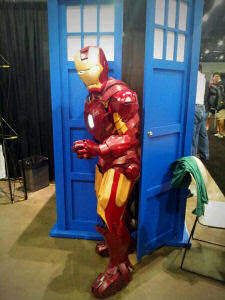 The general public is not fully aware of the existence and activities of super-heroes. The Story: An Earth boy is abducted by aliens and raised to be an interplanetary thief. He finds himself joining with other criminals to save the universe. Notes: This film is based on characters from Marvel Comics and is part of the interconnected films of the Marvel Cinematic Universe. The MCU takes place in an alternate universe within the Marvel Multiverse, and it’s been established that the Marvel Multiverse and Horror Multiverse are likely the same. Within the Collector’s collection in the film is one of the slugs from Slither. This doesn't work either, but it's fun nonetheless. And before signing off, I just want to throw in that our blog was mentioned on io9.com. Whoo hoo!!! People are reading.